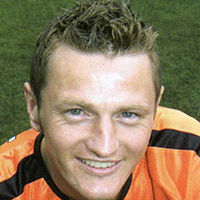 James was a late starter in professional football, joining Clydebank in 1994 at the age of twenty-three. 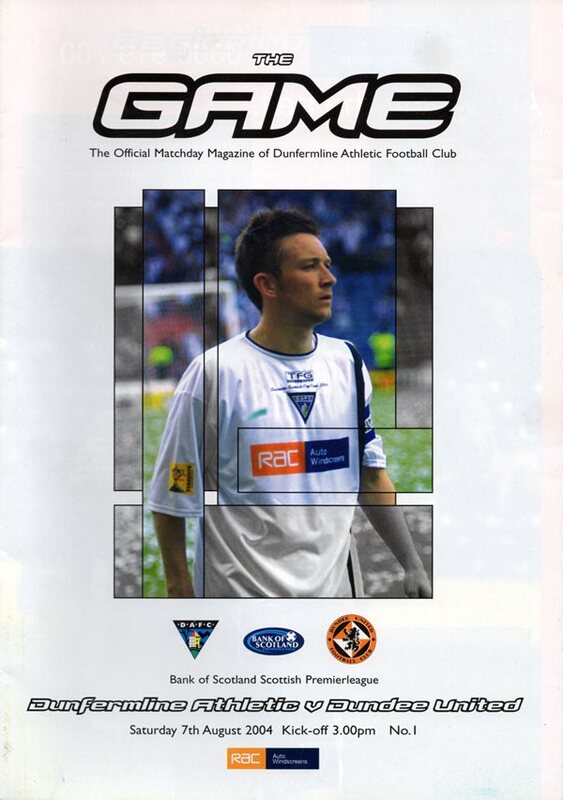 He was then with Dundee, Ayr United and Partick Thistle before he moved to Tannadice. He became a regular in the side that season and collected a Scottish Cup runners-up medal in May 2005. He joined Gretna in August 2005. James was born on this date in Paisley. United Manager Ian McCall fielded a 4-4-2 formation as his side looked to open the 2004/05 with a positive result at East End Park. McCall’s most recent signing Scotland defender Paul Ritchie was given a place on the bench after joining the club on the eve of the game. With injuries to the unfortunate Lee Mair and Jim McIntyre, there was a recall to the starting line-up for Jason Scotland and Grant Brebner. United manager Ian McCall resisted the temptation of starting with either of his youngsters, Kenneth and Cameron, instead moving the experienced Stuart Duff back into the defence. The youngsters were on the bench together with Billy Dodds, Collin Samuel and Nick Colgan. Aberdeen, cheered on by a huge travelling support, lined up in their familiar formation.